The most coveted view in Telluride is yours during your stay at Riverside B103. 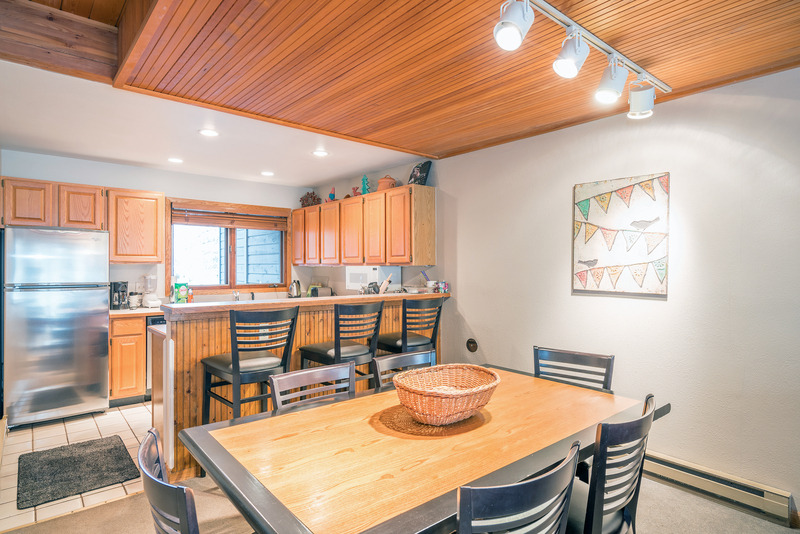 This beautiful second story condo is close to all that Telluride has to offer. The Bear Creek Trail is literally out your door, the Town of Telluride Park is a short walk along the San Miguel River Trail, Main Street is two blocks to the north, and the Gondola/Lift 8 base area is a short walk to the west. 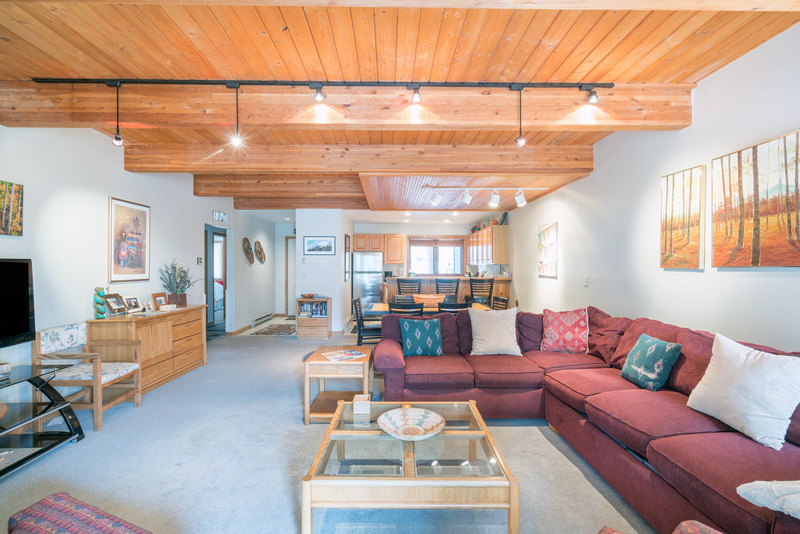 The condo is all on one level with the great room facing the jaw dropping views of Ajax and the end of the Telluride Valley to the east. The kitchen has update stainless appliances. There is plenty of room for the whole family to gather in the main living room. The fireplace adds a nice touch of coziness. The master suite has a king bed with an en suite bathroom. The guest bedroom has a queen and a twin. There is also a queen sleeper sofa. The complex has a hot tub along the San Miguel River. 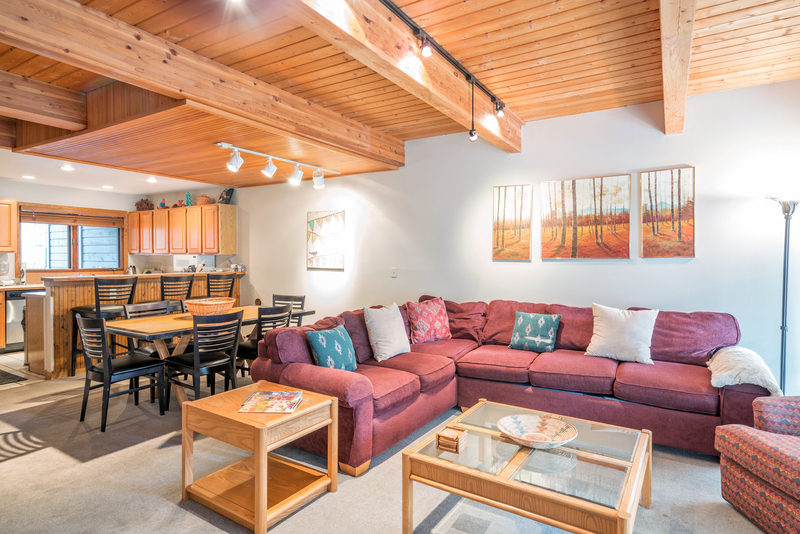 This is the perfect setting for your Telluride vacation!